This new study explores the role the Unitarians played in female emancipation. Many leading figures of the late eighteenth and early nineteenth centuries were Unitarian, or were heavily influenced by Unitarian ideas, including: Mary Wollstonecraft, Elizabeth Gaskell, George Eliot, and Florence Nightingale. 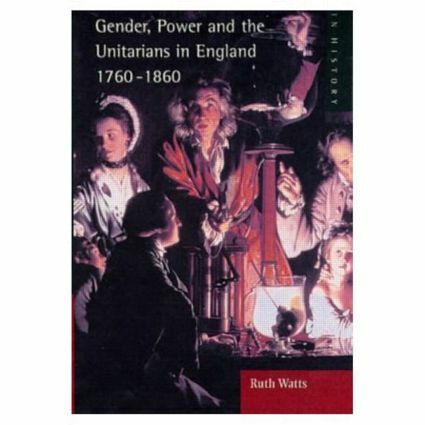 Ruth Watts examines how far they were successful in challenging the ideas and social conventions affecting women. In the process she reveals the complex relationship between religion, gender, class and education and her study will be essential reading for those studying the origins of the feminist movement, nineteenth-century gender history, religious history or the history of education. 7. Knowledge is Power: Gentlemen of England. 8. Unitarians and education for the working class: a gendered concern? 9. Political economy, adult education, class and gender. 10. Unitarians and gender issues in the 1850s: the seeds of feminism. Bibliographical Essay.